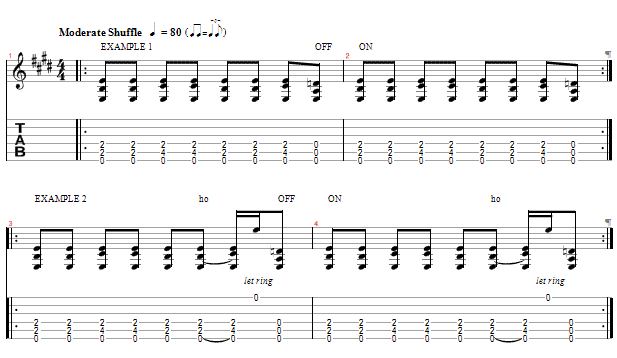 This lesson looks at a couple of ways to spice up shuffle rhythms. The first example uses a fairly simple off/on technique to accent the first beat of each bar. The second example is a bit harder to achieve but gives a nice "rolling along" feel to the rhythm. You could put the top string open every other bar ( for example ) rather than every bar - once you have this off pat you can put it into the rhythm whenever you like.